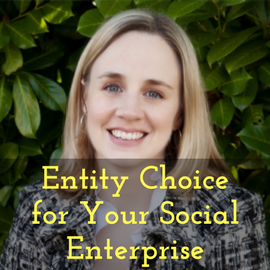 Thinking about starting a social enterprise? While there are many considerations to ponder, business structure can be one of the most important first steps. In this presentation by Kate Kilberg of Catalyst Law, LLC, you are given a spectrum of choices, and the pros and cons of each.